India is one of the invaluable gems in the world which has found its place on the bucket list of every traveller. After all, it is home to several natural as well as historical wonders. Would you believe it if we say that India hosts such places where you can literally feel the essence of exotic marvels which can seriously give a tough competition to other wondrous beauties across the world? If you think it is hard to believe such statements, then you must plan a tour of the following beautiful places in India that are even liked by Dulquer Salmaan. Yes, you read that right, Dulquer Salmaan, the ruling superstar of the Kerala film industry. Wouldn't you love to know more about these places which have captured the attention of superstars like him? If yes, then read on. One of the most underrated places in India, Meghalaya is a beauty like no other. It is called the Scotland of the East for a reason. With the presence of lush green valleys, sky-touching hills, luxuriant plains and beautiful waterbodies, this mesmerising state has everything that a nature lover would wish for. Do you know Meghalaya is home to the wettest land of the earth? Yes, located in the East Khasi Hills, Cherrapunji holds the world record for the highest rainfall. Where else can you find such natural expanses? From transparent rivers to living root bridges and dense rich forests to beautiful mountains, each and every corner of Meghalaya is all set to provide its visitor with a perennial experience. So, how could Dulquer Salmaan have ignored this heavenly beauty? Do you really think the majestic Himalayas can be disliked by someone? Yes, the mountain range which is spread across five countries and is home to some of the world's highest mountains, i.e., Mount Everest and Kangchenjunga. Once a place difficult to conquer, the Himalayas has become the destination for every offbeat traveller and adventure junkie. From rivers to glaciers and lakes to hill stations, there is a lot within its boundaries which can leave you awestruck forever. No wonder it is one of Dulquer Salmaan's favourite destinations. It is rightly said about the Himalayas that if you are looking forward to witnessing the magic of nature, then head towards the Himalayas. At last, who wouldn't love to treat their eyes to the majesty of heaven? Another beauty residing in the lap of a paradise, Ladakh has gained immense popularity over a period of time, especially amongst bikers and adventure lovers. Today, it is on the travel planner of every tourist. Located in the heavenly expanse of Jammu & Kashmir, Ladakh is characterised by high mountains, age-old settlements, Tibetan culture, colourful farmlands and echoing valleys. Don't you think this is enough to compel any individual around the world to add it on their bucket list? Therefore, it has become extremely popular amongst nature lovers, history lovers, trekkers, campers and offbeat travellers. Who wouldn't want to spot the rarest of animal and plant species? Jim Corbett National Park, located in the state of Uttarakhand, is the oldest national park in the country. It was established in the year 1936 with a motive of preserving the Bengal tigers. Wouldn't you love to treat your eyes to the majesty of the Bengal tigers? The park is also home to hundreds of endangered species of plants, butterflies, reptiles and birds. Therefore, it is popular amongst wildlife photographers and nature lovers. Finally, the beauty which is known for its beautiful green valleys and snow-capped mountains. Himachal Pradesh has become a popular destination amongst honeymooners and young couples over a period of time. Today, it is visited by millions of tourists and is greatly contributing to the Indian tourism industry. It is also one of the few places in India where you can find historical places as well as natural places in abundance. Therefore, it attracts each and every type of tourist. 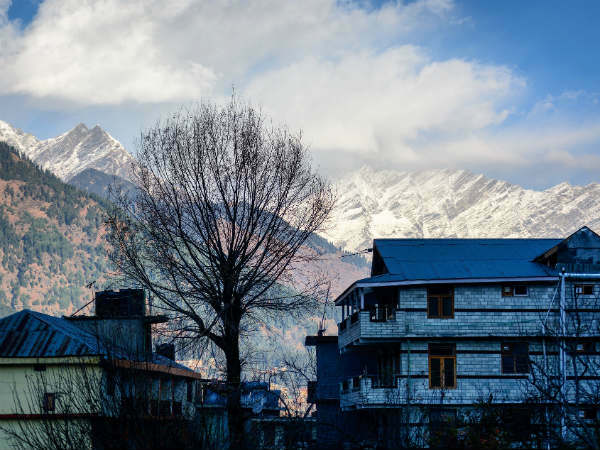 From temples to palaces, valleys to hills, rivers to lakes and grasslands to snow-covered peaks, there is a lot to savour within its boundaries. So, how can Dulquer Salmaan stay away from such an amazing location? Don't you think it is a perfect destination to spend vacations? If yes, then add Himachal Pradesh as your next destination.